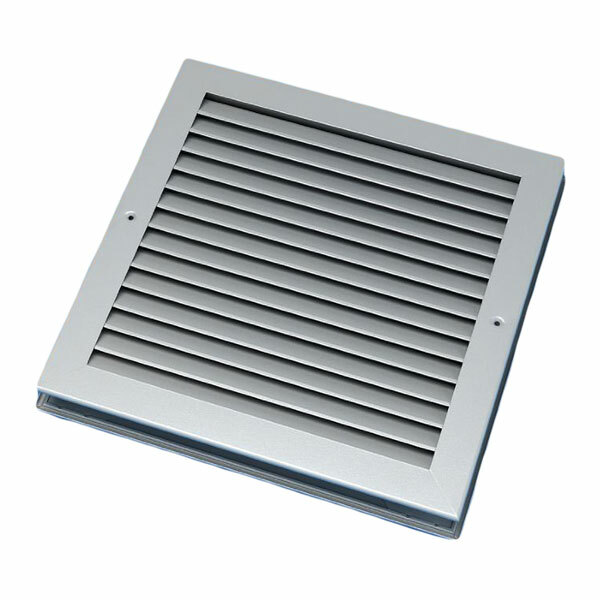 Note: This grille is made to order and is not available for next working day delivery, and will take up to 5 working days to despatch. 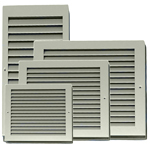 Non vision grilles are manufactured with a fixed inverted V profile to provide a vision proof air transfer grille. 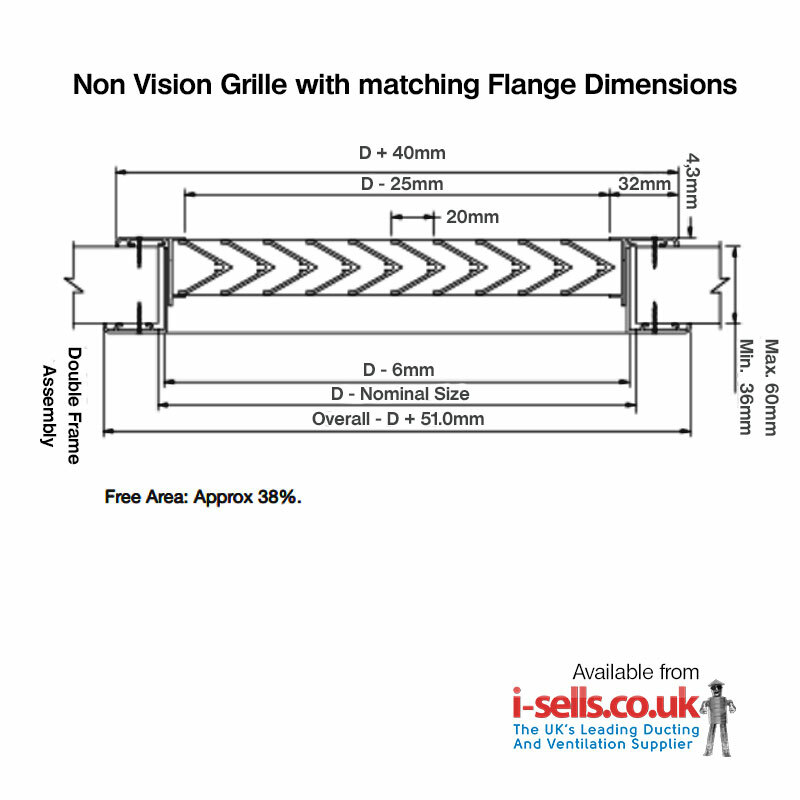 Non vision grilles are available as a single unit or with matching flange as shown in picture (suitable for door/wall thicknesses of 36-60mm). Polyester powder coated silver finish as standard. Call us on 0208 463 96 96 if you would like more information and advice.